So good to be back blogging again. Hope everyone had a great Easter break. I am sharing with you my first card using Simon Says Stamp April Card Kit! Love that this kit has not just beautiful pattern papers but also stickers and embellishment from Simple Stories. For my card today, I decided to use the stickers only. I have used the white cardstock from the kit as my card base. Then I used the big hello sticker from the sticker sheet set also from the kit as my focal point. 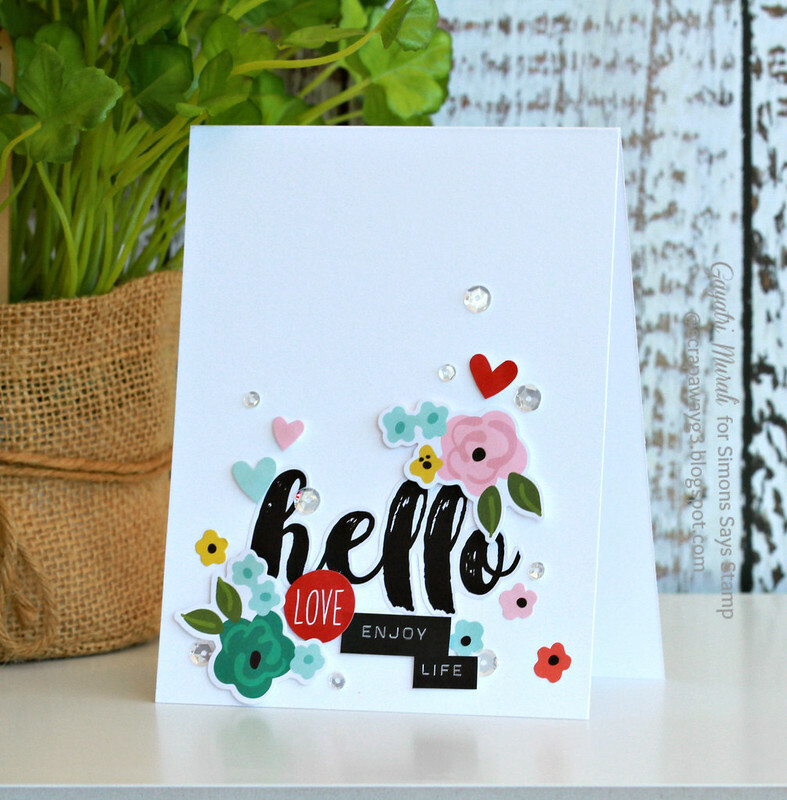 To frame the focal point, I used the flower stickers, heart stickers and the sentiment stickers also from the sheet. I popped a few of them using foam adhesives and adhered a few straight to the card front. Then I used Sparkly Clear sequins from Pretty Pink Posh to add some bling and bring the elements together. 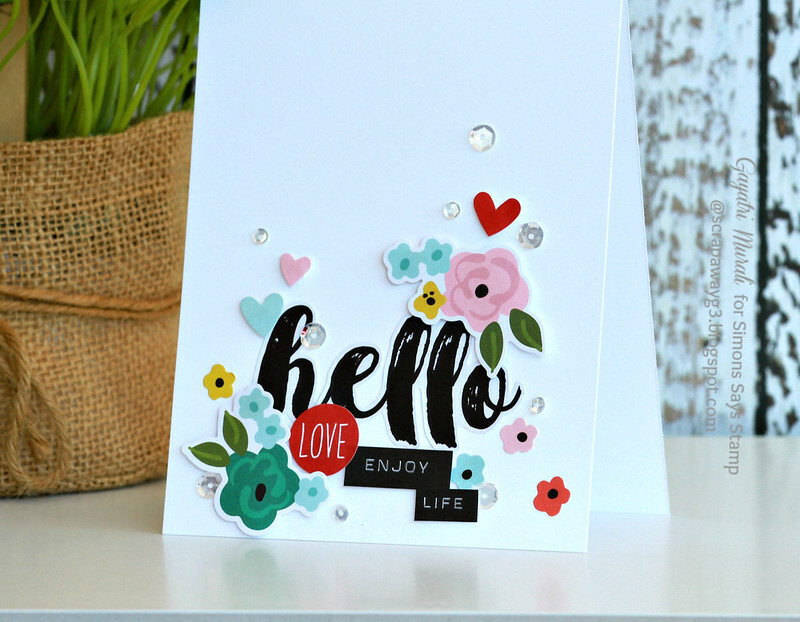 Simple card using the stickers and no stamping yet making a big impact by keeping lots of white space. 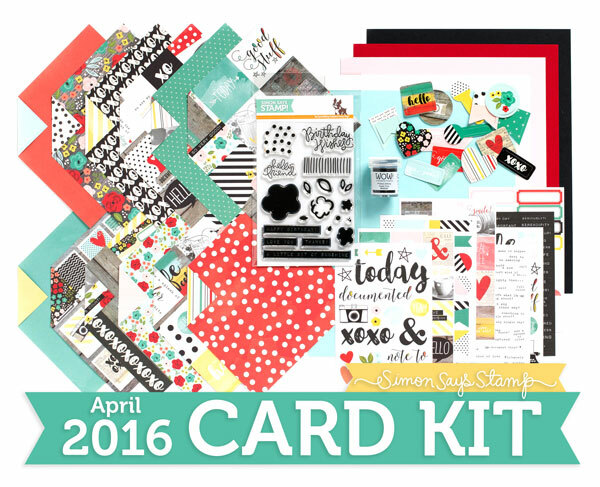 This card kit is available for purchase from Simon Says Stamp store. If you like to subscribe to the kits, here is the link. If you like more inspirations using this kit, here is the link to the gallery. this is a gorgeous card. Lovely kit this month.